Lucky Dog Stamper: Yee Haw! Today's card was really fun to make. When I saw the Card Patterns #156 sketch, I was thrilled cause I immediately knew what I wanted to do - use my October Afternoon Sasparilla patterned papers. A super quick card - no stamps or ink, just patterned papers and a few embellishments. Linda your card is so cute! 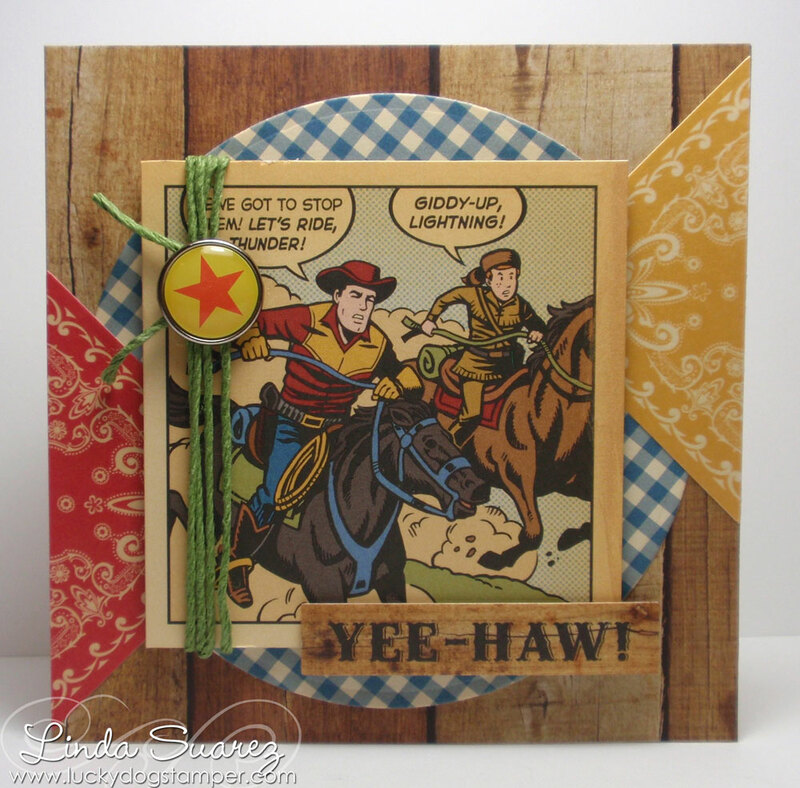 I love wood grain background and the embellishments!! Oh Linda, what a fantastic card! Love how you combined all the elements and used the same theme embellishments & pattern. Fun card! That focal image is awesome. Great take on the sketch! !